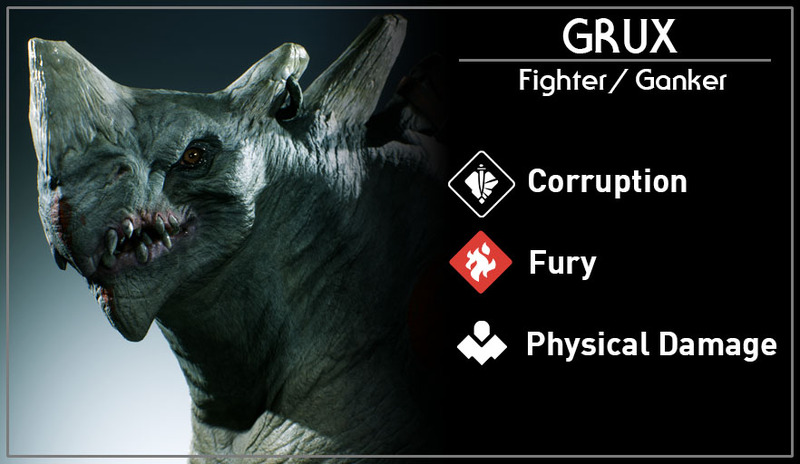 Grux is a melee fighter/tank who can also jungle. Grux has a high health pool and some deadly skills which apply bleeding effects and CC. 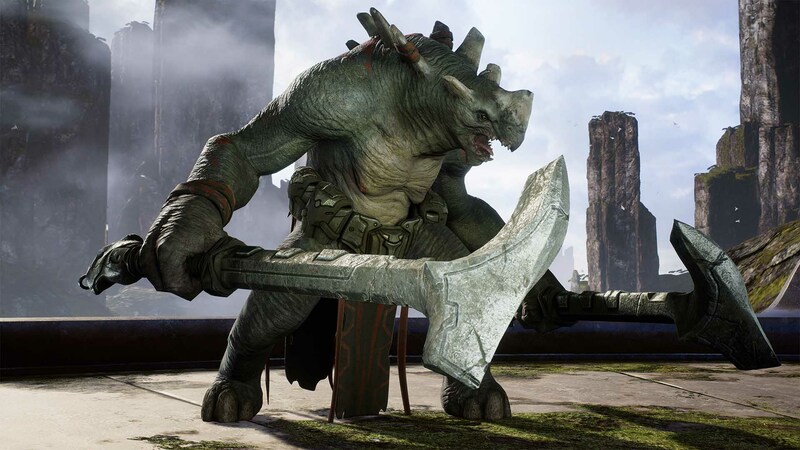 If aimed and timed well, Grux’s skills can completely change the outcome of a team fight, he can grab enemies towards him in a frontal cone allowing your team to spam AoE skills. The main downside of playing Grux is his low mana pool and, to a degree, his balanced stats. This means you have to build Grux to suit a specific play style and you have to be patient when using skills, and make each skill use count. Grux’s basic attack. A chopping swing with cleave damage. Grux sweeps his hammers in front of him dealing damage and applying a bleed for a few seconds. Grux slams the ground, pulling all units in a frontal cone towards him. Grux dashes forward damaging all units he passes through. Grux slams his hammers together stunning all enemies around him. His basic attacks gain a damage increase and also applies a bleed.